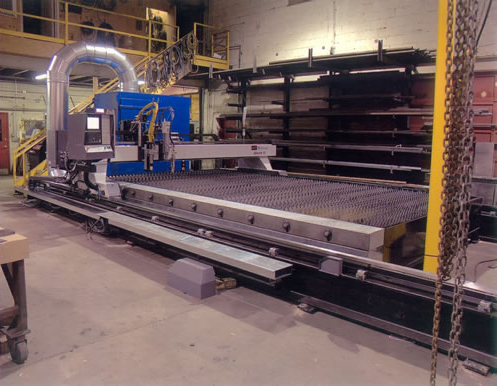 Our CNC high definition plasma cutting system is reliable, cost effective, and high performance. It’s built to ensure a smooth, accurate cut with unbelievable speed. Position and repeat accuracy is +/- 0.004. We use laser point positioning and nesting software to ensure the maximum number of parts per sheet of material. The downdraft table measures 10′ x 16′, accommodating multiple standard size sheets during the custom fabrication cutting process. Our system is also equipped with an oxyacetylene head for cutting heavy carbon plate.